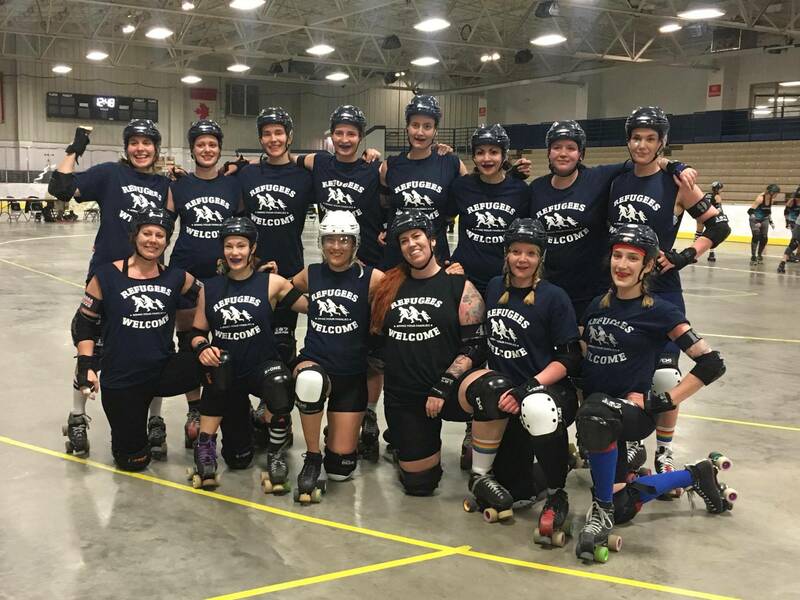 Dock City Rollers “Anchors” are going back to the US for a second time around to get the chance to continue their climb in the WFTDA rankings. DCR Anchors went to Kalamazoo and participated in the K-town Shakedown earlier this year and won all the games they played! It resulted in a big jump from 111th place to 80th place but the Anchors aim higher than that and will go back to the states to participate at this years’ ECDX (WOHO!) to play against even harder resistance. BUT THEY NEED YOUR HELP!! Unfortunately it’s expensive to travel and our money is running out so we’ve set up a GoGetFundme page. If you wanna help us out every single dime counts so help us out at our GoGetFundme!